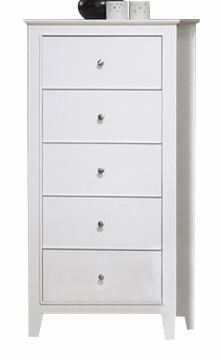 Add vertical dimension to your youth bedroom with the narrow composition of this chest of drawers. 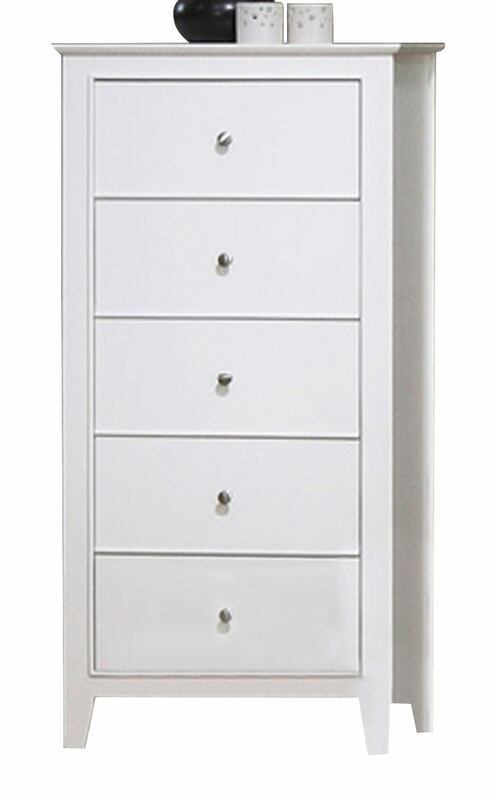 Tapered legs and simple knob hardware compliment the refreshing white finish, while five drawers provide storage space for clothing, accessories, extra bed linens, or toys. For a personalized look, display favorite decorative items on the surface.